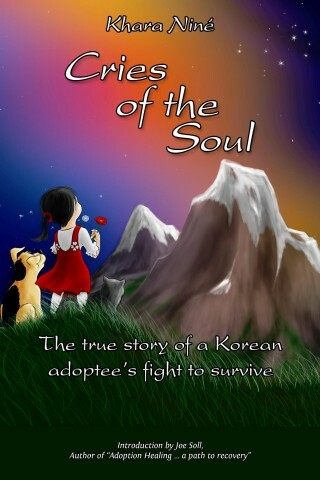 I am Khara, adopted from South Korea to Norway at the age of two. Recently I’ve started looking back at my life, the struggle of growing up with a pair of abusive adoptive parents, hoping to figure out ways to get to grips with this baggage of insecurity and angst that I carry with me. I wish to share some of this personal journey with others who are, as they say, in the same boat. I write about childhood memories as part of a healing process, to help myself recover from the wounds of a bad upbringing. This site is my outlet; a place to vent when emotions are crowding in and fighting to make themselves heard. I am a grown-up today, but many of those thoughts and feelings belong to my inner child. She wishes to speak up, and now is her time. Too many things in her young life went wrong, and I have not allowed her to come out; I’ve tried to hide her, and to forget, denied her existence, because the childhood experiences locked up within that Pandora’s Box she carries with her would be overwhelming and create a river of tears from memories of pain and fear. Now, as a grown-up, I can finally let her out, give her a place in my heart, embrace her and comfort her, and let the world know about the injustice and unfairness that she was submitted to. It is a painful process, but it is slowly helping me and her both heal ourselves. I hope that many will see my blog, and maybe together we can raise awareness for children in dire need of help. It could be your neighbour’s child that needs assistance, or even rescue. You can’t help every single one, but for each one that you do help, it will make a world of difference. This blog is for that, and for anything else that is close to my heart, tickles my fancy, or that I otherwise find blogworthy along the way. I’m in my forties, have two daughters, a boyfriend and a cat. Thank you for this post. Just found it. for Korean Miners and Korean Nurses sent to W.Germany. Such is how I came to ‘finding’ myself…a witness to “TRAGEDY”; the biproduct of “HUMAN INJUSTICE”…. ….it’s painful to read of your life….yet, I mirror it, silently…. Hope you remain a “LIVING” proof….that thru you and thru me…the generations of the dead will be heard….that KOREAN PENINSULA’s witnesses of the past and present live within us….and Keep speaking your experiences….also, learn…LEARN as much as you can of KOREAN HISTORY….become the KOREAN HISTORY expert in your community as I am in mine…Let all hear of the horrors-hungers-genocide-injust that KOREANS have faced ….faced without a helping hand….still divided…. History is on our side…Our pains and our sorrows….our tears…. …..Painful history lives in us….voice all you can of the KOREAN HISTORY…. offers subtitled korean movies/dramas for free online viewing. korean movie; a moment to remember ( korean title is ; an eraser in my head; but korean title was somehow tagged as; a moment to remember; love story of a man standing by his 27year old diagnosed with alzeihmers).